The presidential decree on additional measures to ensure population's self-employment will play a significant role in resolving employment problems, believes MP Vahid Ahmadov. Reminding that currently the unemployment rate in the country stands at 5 percent, he told Azernews that such a decision will pave the way for creating new jobs for unemployed people, who receive targeted social assistance from the state. "The aim of this decree is to gradually decrease the dependence of the population on state assistance," he said. “Population receives targeted social assistance in accordance with the presidential decrees and orders, as well as with the laws adopted by the Parliament. This leads to dependence of the population on state assistance. Therefore, taking the world experience into account, the government implements plans to open new jobs and cease state assistance." President Ilham Aliyev signed a decree on additional measures in the field of self-employment on April 7. Under the decree, some 6 million manats ($3.931 million) will be allocated from the reserve fund of the President to the Ministry of Labor and Social Protection of Population. These funds will be spent on assisting the population's self-employment. Ahmadov said that under this decree, favorable working conditions will be created for those, who receive assistance. "Those, who receive assistance in the regions, will be able to manage a supermarket, to manage an internet café or engage in cattle breeding, or plant growing and etc.. Thus, families who receive targeted social assistance from the state will be provided with permanent working places and will be able to support the whole family." This pilot project has already been applied in Goychay, Aghdash regions, and it will be applied in all regions of the country and cover about 1,440 families, the MP added. Ahmadov is sure that the decree will further improve the unemployment rate in the country. "Firstly, new jobs will be created. Secondly, the population will not depend on 150-200 manats ($98-$131) of state assistance, but work and earn money for supporting his/her family." Labor Minister Salim Muslimov earlier assessed the decree as an important support to the involvement of able-bodied members of low-income families in active labor market and ensuring their self-employment. “Under the instructions of the head of state, the Ministry not only conducts works for strengthening the social welfare of low-income citizens, but also pays particular attention to their involvement in active labor market programs, and conducts relevant analyzes in this regard,” he told media on April 8. Speaking about the measures taken by the Azerbaijani government in ensuring the population's self-employment, Muslimov said that last year Azerbaijan was able to provide self-employment of 32 low-income families of the Goychay and Shamakhi regions. This was achieved as part of joint pilot projects implemented with the International Labor Organization. Also, the Ministry focuses on the active labor market programs based on the reports of the ILO, as well as international experience in the relevant field. 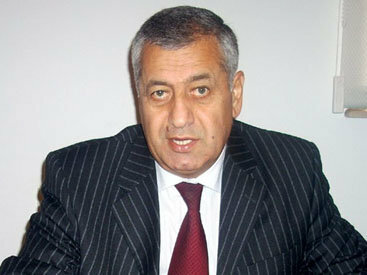 Muslimov believes that the presidential decree allows applying the best international practice in Azerbaijan. He also stressed the importance of further continuing works towards involvement of able-bodied members of the low-income families to the labor market. As of December 30, 2015, some 114,000 families or approximately 500,000 people were reported to receive the targeted social assistance. The government provides assistance to each family in the amount of 153 manats ($100).